If you’d like to discover the charm of back to basics camping holidays, pitch at Merkins Farm. Open all year round, this really is a campsite founded on and fuelled by a love of the stunning natural environment in which it is so fortunate to be sitting. Proprietors Hayley and Jon Painter moved to Merkins Farm, which is about half an hour by car from beautiful Bath and around a 20-minute drive from the historic market town of Chippenham, with their two young daughters back in 2003 – Hayley takes up the story. At first, the facilities comprised some electric hook-ups, a water tap and a chemical disposal point, but Hayley and her team were keen to increase the range of accommodation options and the facilities at the site. “By 2007, we had converted the redundant farm buildings into three holiday cottages,” she recalls. One, the delightfully named Tickleberry, has three bedrooms, while the other two, Puddings Barn and Pump Cottage, each have one bedroom. “All three have exposed beams and vaulted ceilings,” says Hayley. “We hope we’ve decorated them in a bright, cheerful and attractive manner, so they are welcoming and easy to enjoy your holidays in.” Each of these cosy holiday cottages has its own private garden, gas central heating and a well equipped kitchen – bed linen and towels are provided. In 2008, the campsite’s facilities were added to with the construction of two toilets (one for female guests, one for male guests) and a wet room, followed in 2011 by the opening of the Merkins Farm Café. This fun, camping and caravanning themed retro café has become something of a must-visit tearoom for those who visit Wiltshire – and if you’re staying in one of the holiday cottages, you could have a delicious cooked breakfast delivered to your door! Serving breakfasts, lunches and afternoon teas, including tasty homemade cakes, it is a peaceful place to come for a bite to eat and something to drink, whether sat outside admiring the view, or inside, perhaps in Bertha, the caravan themed room.  Today, as well as the three holiday cottages, the campsite has three hardstanding pitches and one grass pitch, all of which have electric hook-ups and welcome caravans, motorhomes, campervans and trailer tents, plus a number of pitches for tents. And as well as the facilities that we’ve mentioned, there are recycling facilities and an outside dishwashing area with hot water. Hayley, Jon and their team have embraced the lifestyle and managed to create a corner of Wiltshire where you can really get away from it all, escape and get back to basics, while not going without your creature comforts. It is a campsite that works and lives in harmony with its natural environment to great effect. “We pride ourselves in maintaining a relaxed and friendly atmosphere,” Hayley tells us. “We want people to come here and enjoy themselves, enjoy the setting – and, of course, we want them to return! Merkins Farm is in the hamlet of Bradford Leigh, about a mile and a half outside the small but pretty town of Bradford-on-Avon. The campsite’s proximity to Bath makes it popular, but it’s also within easy driving distance of Longleat Safari and Adventure Park, Bristol, Wells, Stonehenge, Cheddar Gorge and Wookey Hole Caves, as well as National Trust properties including Lacock Abbey and Great Chalfield Manor and Garden, both of which starred in the BBC TV drama Wolf Hall. So, whatever your age or interests, there’s lots to see and do on your camping and caravan holidays in Wiltshire. Have you stayed at Merkins Farm? Write a review – tell us what you think and you could be a winner!